Following recent approval from local authorities, the plans for the new Penn National Gaming’s mini-casino in Morgantown, Berks Country, Pennsylvania, have met strong opposition from the conservative rural community, which started a petition against the proposed satellite casino. According to religious leaders, the gambling establishment will pose a threat to the values and traditional way of life of the neighboring Amish Country. The casino, which would be called Hollywood Casino Morgantown, would be built along Morgantown Road off the Morgantown turnpike exit. The city, which is a small community in Caernarvon Township, Berks County, is located just over the border with Lancaster County and its Amish Country, a rural area filled with farms and windmills. If Penn National’s proposal for a Category 4 casino, also known as satellite casinos, receives approval from the Pennsylvania Gaming Control Board, the new gaming hall would be built just a few miles away from the traditional Amish settlements. On March 4, the state’s gambling regulator organized a public hearing in Caernarvon regarding the application filed by Penn National Gaming in February. Hundreds of people arrived to hear the company’s executives and express their opinion, and while representatives of the local business seemed to approve the development of a casino, many people voiced their concerns. According to religious leaders such as Rev. Coleen Brandt Painter, pastor of the Elverson United Methodist Church, the local community holds values and traditions, which are very different from gambling cities such as Las Vegas. As cited by the digital edition of The Philadelphia Inquirer on Tuesday, Sam Rohrer, president of the American Pastors Network, which is based in Elverson, just west of the Berks County line, explained that the project was “incongruent” with the community. The casino is widely considered by the politically conservative locals as threatening to the traditional way of life in and around Morgantown. Gambling opponents have already raised concerns that the gaming establishment would result in increased crime rates, alcohol abuse, and more, the paper adds. The project was given green light by Caernarvon Township supervisors who unanimously approved the plans for the mini-casino on March 12. The establishment, which is said to require an investment of $111 million, needs final approval by the Pennsylvania Gaming Control Board. The regulator is expected to make its decision in May and in case it does vote in favor of the project, construction may begin immediately. Penn National expects that the casino would be operational by the end of 2020. While Penn National’s proposal for a mini-casino in Hollywood Casino Morgantown in Southern Berks County certainly raises concerns among certain members of the local communities, it is also seen by others as a necessary condition for the survival of the Caernarvon Township. According to Penn National, the proposed casino would attract gamblers from the western suburbs of Philadelphia into the small township, which has a small population of around 4,000 people and a tiny annual budget of $2.6 million. The $111-million casino would add $1.6 million every year to the coffers as tax revenue, according to the calculations. This is a massive 62 percent of the town’s entire budget. The new gambling establishment would host 750 slot machines and 30 table games, which is the maximum number of games allowed under the current legislation. 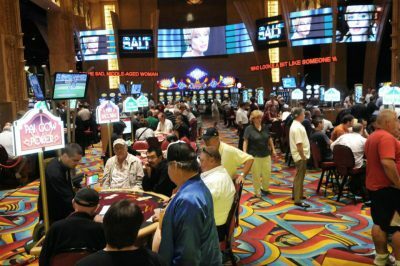 In addition to the casino floor, it would include a sportsbook facility, an entertainment lounge, a signature restaurant, and a separate food court. All this would be located on an 86,000-square-foot plot. 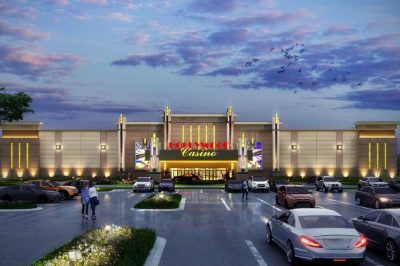 In fact, the project is designed as a satellite casino of the flagship Hollywood Casino at Penn National Race Course in Grantville, which features 2,480 slot machines and 54 tables. Eric Shippers, Penn National’s senior vice president of public affairs and government relations, said that Hollywood Casino Morgantown would provide 250 full-time casino jobs. Positions would range from jobs in entertainment and waiting staff to higher-paid workplaces in finances and management, he explained. Moreover, the mini-casino is expected to bring $94.3 million into the local economy.